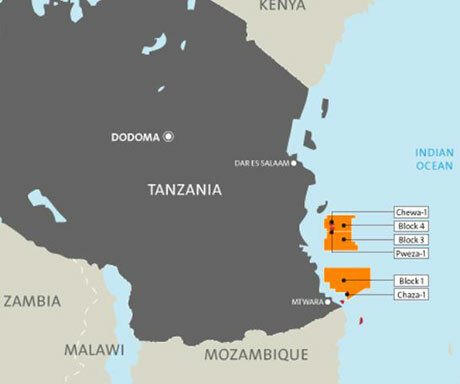 London listed upstream oil and gas exploration company Ophir Energy plc announced the successful results of the Taachui-1 & subsequent Taachui-1 ST1 well in Block 1, Tanzania which has resulted in a new gas discovery. Ophir holds 20% of Blocks 1, 3 and 4. BG Group operates with 60%. The Taachui-1 well was drilled to a Total Depth of 4215mMD. The well encountered gas in a single gross column of 289m within the targeted Cretaceous reservoir interval. Estimates for the mean recoverable resource from the discovery are c.1.0 TCF. compartment to the west which has the potential to be of a similar size. A Drill Stem Test will now be performed on the Taachui discovery with results expected before the end of June 2014.